The opening hymn is Hymn No. 289, “O God of Every Nation,” text by William W. Reid, Jr. (1958). The tune is a Welsh folk melody, LLANGLOFFAN. Before 1958, this tune was usually heard when G. K. Chesterton’s “O God of Earth and Altar” was sung. But we are singing an updated text on the same themes by William Watkins Reid, Jr. (b. 12 Nov 1923 in Beechhurst, Queens, NYC). Rev. Reid attended Oberlin College and Yale Divinity School. He was a medic in World War II and was a prisoner of war in Germany at the end of that war. After the war he was a pastor at a North Dakota Methodist church and then of a Methodist church in Wilkes-Barre, Pennsylvania. He died 27 Mar 2007 in Tunkhannock, PA, and is buried in Wyoming County, Pennsylvania. I guess God is in the “spare the rod, spoil the child” camp, but it must have been meant metaphorically, as God, being spiritual rather than corporeal, couldn’t actually beat David’s sons with a club. 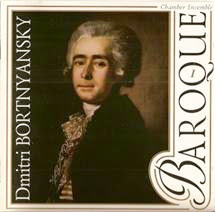 The tune is ST. PETERSBURG by Dmitri Stepanovitch Bortniansky (1751-1825), a Ukrainian. He was born in Glukhov, Ukraine, and was in the Imperial choir school by age 8. In his 20s, he wrote his first operas while in Italy. He then returned to Russia to become Kapellmeister of the Imperial Court of Czar Paul I in 1779. He died in St. Petersburg. Here is the tune played on an unusual instrument, a chime tower in the Grace Anglican Church of Brantford, Canada. It looks like a lot of work to play music on a chime tower. The bells need dampers so they don’t ring forever. Communion anthem, “In the Bread Broken” by Mary Kay Beall. You can hear it sung by professionals here: http://www.hopepublishing.com/html/main.isx?sitesec=1.2.4.0&workid=1353 “In the Bread Broken” Click the “play” icon. Note: The bulletin says it is Hymn No. 435, but that is not correct. This hymn was authored by John Oxenham in 1908 and has been published in 244 hymnals. “John Oxenham” was just a pseudonym. The author’s actual name was William Arthur Dunkerley. In addition to writing hymn texts, Dunkerley was a novelist, a poet, and a journalist. He was born in Manchester on 12 Nov 1852 and died 23 Jan 1941. His book of poems, Bees in Amber, was a bestseller in 1913. When he was writing as a journalist, he used the pseudonym “Julian Ross.” He died in 1941. I expect we will be singing it to the tune ST. PETER (by Alexander Robert Reinagle) (Hymn No. 439, http://www.hymnary.org/media/fetch/148530 ), though that tune is used with “In Christ There Is No East Or West” only slightly more often than MCKEE (http://www.hymnary.org/media/fetch/149253 ). Although MCKEE is an African American spiritual, it started out as an Irish tune. It was adapted by the slaves in the United States. Friedrich Schneider (b. 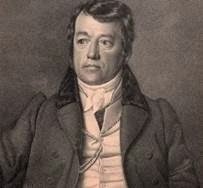 3 January 1786, Alt-Waltersdorf; d. 23 November 1853, Dessau) was a German composer of the Romantic period. He was a graduate of the University of Leipzig and became organist of St. Thomas Church in Leipzig. I couldn’t find “Communion,” but I did find his Oratorio in Three Parts for Soloists, Choir and Orchestra “Das Weltgericht/The Last Judgment.” I even understood the first six words: “My God! My God! My God!” which seemed a fitting beginning for a work of that name. Offertory: “Ave Verum” by Wolfgang Amadeus Mozart. I didn’t find this piece, but I found an “Adagio in F Major” that Beethoven composed for a mechanical clock that was for an organ played by cylinders in a clock belonging to Count Joseph Deym-Mueller. http://youtu.be/evz8Hn9_d_Y Thomas Heywood plays Beethoven’s Symphony No. 5 on the Grand Concert Organ, Melbourne Town Hall, Australia.